Pick from hundreds of great looking modern designs. All aspects are customizable including colors, images and more. Our designs are mobile responsive and look great on desktop, tablets and smart phones. Your site will automatically adjust. No need to know any special skills. Simply point and click with your mouse to build your site pages, quickly and easily. Create all kinds of web forms easily. Create contact forms, feedback forms, reservations forms. Advanced add-on forms also available. Connect with your audience using our built-in blogging and forum features. No need to install additional blogging software. Need a logo for your business? It's easy to create one using our built-in logo generator. Pick objects, fonts and more. Add advanced image galleries with various options like slideshow, thumbnails, filmstrip, mosaic and sliders. Easily add video, audio and other media types. Easily integrates with services like Youtube, Vimeo and Soundcloud. Extend functionality on your website by adding your own custom html and css code. Need help with customization, just ask! 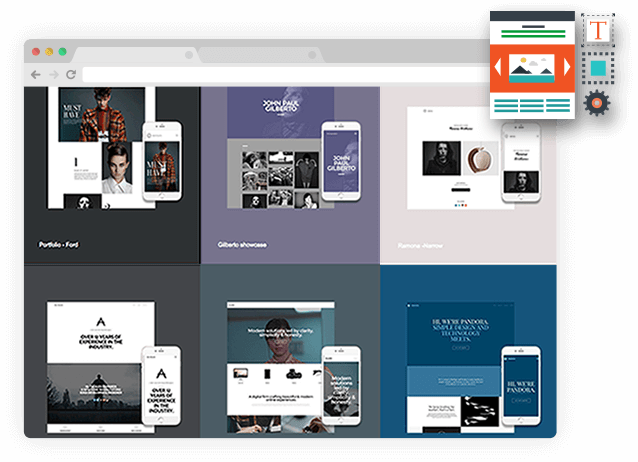 We're constantly adding new apps to our site builder. These apps extend the effectiveness of your site, automatically. Integrate your various social media accounts with your website. Connects with Facebook, Twitter, Instagram, Youtube and more. It's easy to offer multi-language translation on your website. Automatically translates the content on your site to any language. Google Analytics, the world's best and free web traffic analytics service, provides tons of insight on the visitors to your site. Our social sharing widget makes it simple and easy to empower visitors to your site to share your content on their social media accounts. Add appointment scheduling to your website. It's easy to set and manage appointments, available dates, services, email notifications and more. Our membership management system add-on allows you to provide membership services like protected content, digital downloads, and more. The news and events module is a resource you can use to add timely news and events to your website. Content is displayed via a news feed. Add and manage online files that connect to your website like MS Word files, PDF files, Audio, Video and more. Easily manage your files online. Increase revenue with this add-on that allows for the creation of customized gift certificates which can be sold and redeemed on your website. Offer daily deals to increase your revenue in a unique way. Limited time sales, quantity limited sales and much more. Great way to increase sales! Have a simple product to sell? Simply add a paypal buy now button. Add as many as you want to sell simple product configurations. Have more advanced ecommerce needs like shipping and tax calculation, multiple products and more? Our advanced shopping cart is perfect. Stay tuned... Movie coming soon! Yes, you can cancel any time, there are no long term contracts or compartments. You can use an existing domain, no problem. We even renew it for you annually at no charge. Yes, all plans include free and friendly support and assistance, 24/7. Do I have to pay extra for hosting? Never. Hosting is included with our service. What if I don't want to do it myself? What if I don't find a design for my industry? We can customize a template at no charge. Just tell us your industry and we'll go to work. Have a question that was not addressed? Opting to do it yourself is easier than ever. Customize all aspects of your site with these great themes! Our website builder makes it very easy to build and manage your own website. Simply point and click to make changes and publish anytime via the web. Easily build and manage your own website. Includes great looking, modern and responsive web designs. Create a great online store with our ecommerce system. Sell online and reach new markets. Automate your social media outreach and marketing. Schedule posts, track followers and more. Easily backup everything on your computer to the cloud. Restoring files is simple and intuitive.